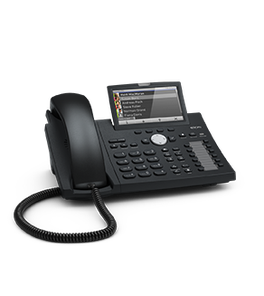 Increase the available function keys on D3xx phones with USB port, allowing users to manage a large number of extensions and calls. 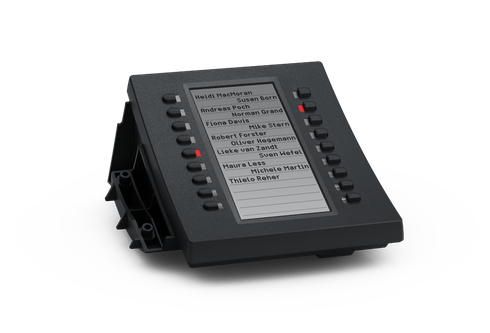 The D3 Expansion Module provides an additional 18 multicolored LED keys that can be programmed for functions such as line, speed dial, busy lamp field and presence indication. A multicolored LED key presents call or presence status, and the high-resolution display provides a visual interface that can be easily configured and labelled via the phone’s web interface or directly on the phone itself. The D3 connects to the telephone using a USB cable and up to three D3 expansion modules can be daisy-chained to provide 54 function keys.